As mentioned earlier today, in the Google Cloud TPU news item, Google is in the middle of its annual I/O developer conference. Day two will kick off shortly but there are some more interesting aspects of Day one to cover. Many HEXUS readers own and use Android smart devices day in and day out so it's interesting to see how Google directs its mobile OS development efforts. 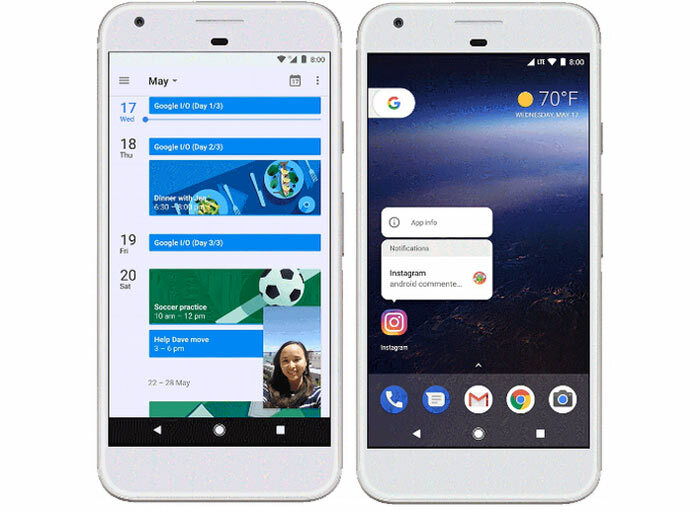 On the first day of the I/O event Google revealed some key information about the next major revision of Android, Android O, and a new initiative for entry-level devices, Android Go. Android O Developer Preview 2 has been released and select devices can update to this beta OS or have the update applied. The key philosophy behind Android O is to facilitate what Google calls 'fluid experiences'. For example picture-in-picture multitasking options let you "seamlessly do two tasks simultaneously, like checking your calendar while planning a party on a Duo video call". Furthermore, machine learning has been utilised so Android knows what data you want to highlight and select and this is implemented in double tap actions (going to the dialler, email app, or maps for example) and in Smart Text Selection for copy/paste activity. The above fluidity is complemented by optimisations 'under the hood' and you will experience faster app launching and even faster phone startup/restart as part of that initiative. It's not the first time Google has pushed for greater Android fluidity and in another repeat aim it hopes to optimise battery consumption to make sure your devices can last throughout a busy day. 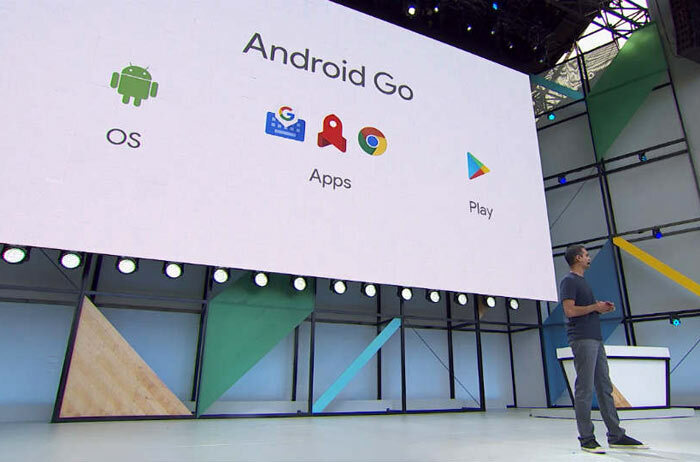 Android Go is a 'lite' version of Android O which is being readied for entry-level devices. The OS and smart devices using Android Go will be arriving on the market in 2018. This leads one to consider what happened to Android One initiative. Hopefully this new idea will stick. Already we see mid-range and entry level Android devices becoming more responsive and powerful, shrugging off the 'lag' Android devices that weren't flagships were once famous for. With Android Go devices at the low-end of the market should offer both snappy performance and modern OS and app support. The initiative doesn't mean that Google will just make a new lite OS. There will also be redesigned core Google apps such as YouTube Go, Chrome, and Gboard. Specifically these apps will promote a better user experience at the entry level by generally using less memory, storage space, and/or mobile data. Neatly, the Android Go Play Store will know to highlight these apps first when users search for such tools. Google thinks that Android Go will help it to reach "the next billion users". That underlines the other achievement announced at Google I/O day one - the milestone of 2 billion monthly active Android devices globally has been breached. Google said that Android Play users have installed 82 billion apps from the store over the last year. Be nice if Go is offered to, say, the Nexus 5 and similar devices. If so then I would actually take the risk of replacing the battery on my wife's phone (as it's a bit lame now) and sticking Go on it so it stays more up to date. if they are redesigning apps to be “using less memory, storage space, and/or mobile data” then why can't they do this for the core app experience?